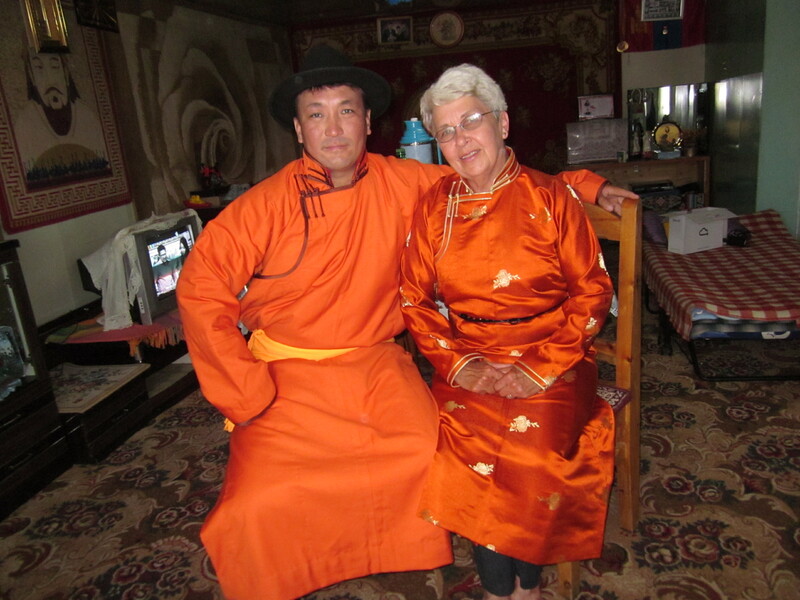 I had just arrived in Ulaanbaatar, settled into Zaya’s Guesthouse and was walking down a crowded street. “Hello, Judy,” said a 20-something Mongolian walking with a friend in the other direction. I stopped in my tracks, stared at him and pointed to myself, “You know me?” “Yes,” he nodded with a smile and walked on. I still don’t know who he was, perhaps someone who worked at Peace Corps, but I do know it made me feel I was home, back in my adopted country, Mongolia. 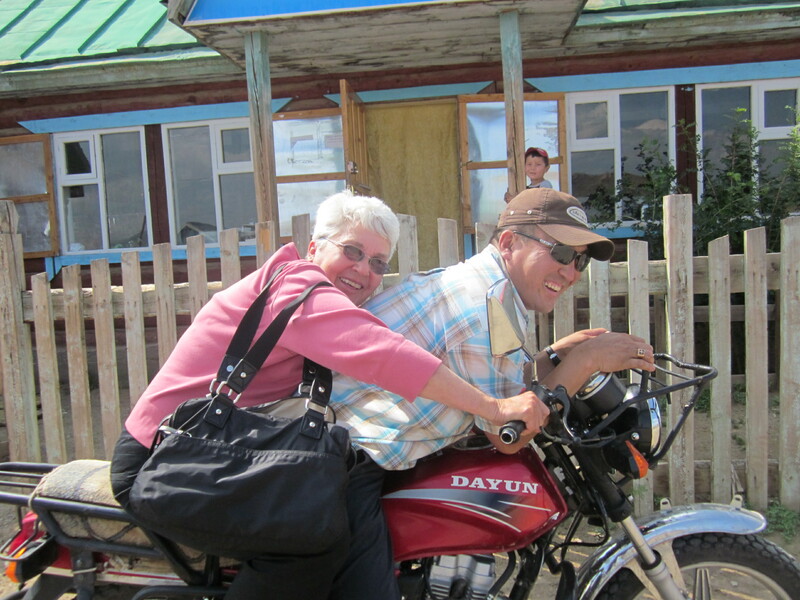 And when I flew on to Muron the next day, my home during my Peace Corps years, friends welcomed me at the airport and later, as I walked around town, I kept hearing, “Hi, Judy!” as other friends saw me and stopped to say hello. This was my sixth summer in Muron. It feels like home. Sarangoo is a year old now! I spent the month of July in Mongolia this year. As I did last summer, I stayed with my friend Enktuvshin and her family along with a Swiss friend also there for the month. Enkhtuvshin’s daughter, Sarangoo, is now a year old and started walking the day after we arrived. She is adorable and is more adventurous every day. I always try to bring some little gifts to share and sometimes I get requests. This year the requests included a saddle for my friend, Esee, a guide who takes people on horse treks. Since Mongolian saddles are wooden, the English style saddle is more comfortable as well as being a size appropriate for the smaller Mongolian horses. I have to admit it was a bit of a challenge to find a way to pack it! I also brought a big bundle of children’s warm wool hats and scarves donated to me by a little knitting group from the Swampscott library next door to Marblehead. World Vision in Muron will give them to children from the many poor families in the area. Entuvshin’s brother was married while we were there—it was fun being involved in the preparations‑-like peeling mounds of potatoes as part of the food preparation for the wedding feast. And then there were two birthday parties, one for Enktuvshin where we ate, karaoked and discoed, and one for Bataa whom I have known since my first days in Muron and who is now married with a little daughter. 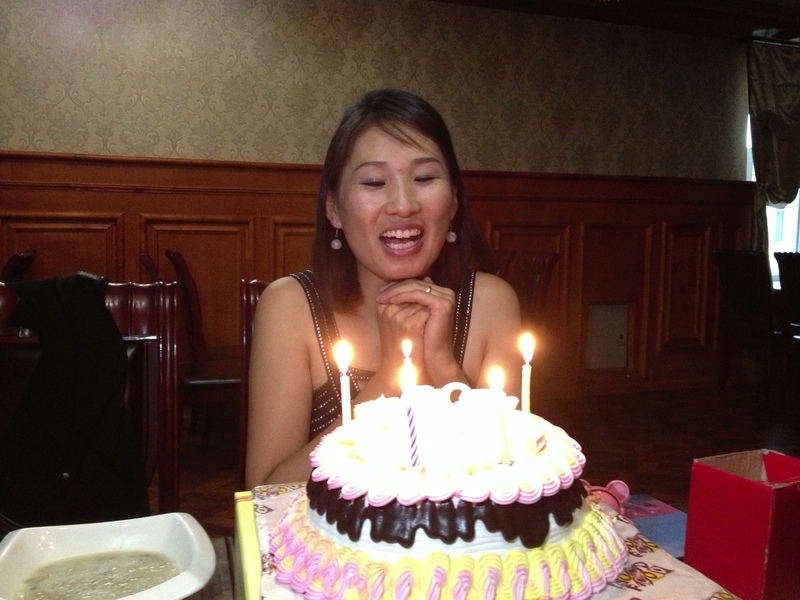 Enkhtuuvshin’s just made a wish before blowing out the candles. Early in this trip I spent a few days at a favorite place, Hargalat Ger Camp, about an hour west of Muron. 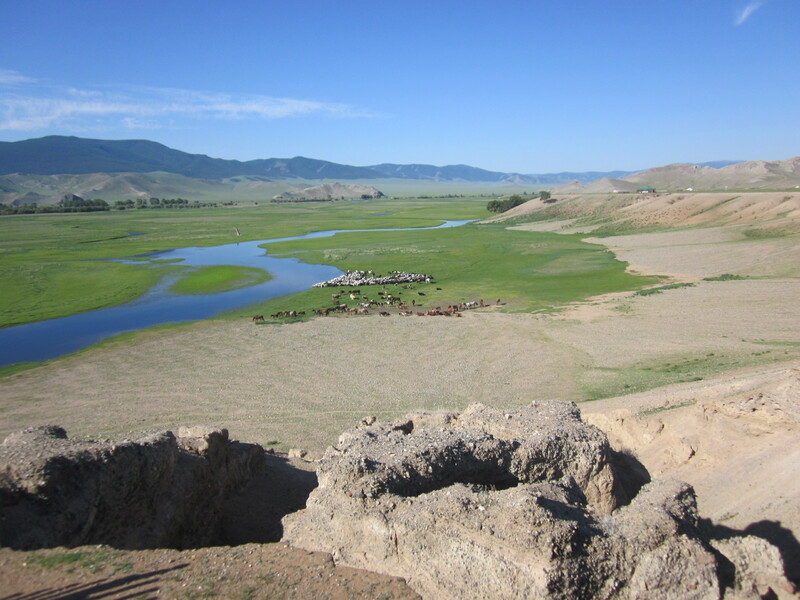 It sits high on a bluff with one of the most beautiful views in Mongolia: a broad valley with streams running through it, herds of goats and sheep and cows and camels and horses passing back and forth. Distant mountains, magnificent clouds, and fantastic sunsets. Starry nights and utter peace. Magic! As I was a business volunteer in the Peace Corps, I am always interested in what is happening in that area. The little summer souvenir shop I helped start some years ago was open again but in a new location and not doing so well. I tried to help raise the visibility of the shop but after I left August 6 I heard it had closed. Perhaps it will go better next year. On the other hand, a couple I had known before with a tiny knitting business have been able to get some funding and purchased some new one-person knitting machines. They are turning out some beautiful yak and sheep wool sweaters and I’ve ordered some to sell, along with some other local products, at a couple of craft fairs here leading up to the holidays. I mentioned Esee, a local guide, earlier. Since I first got to know him and his lovely family, he has wanted to take me out to the countryside where he was brought up. In between his guiding trips this year, we did it—he and his wife, Moogie, and his three children and I drove out in his SUV miles and miles and miles out through the hills and valleys to meet his relatives in their summer grazing grounds. 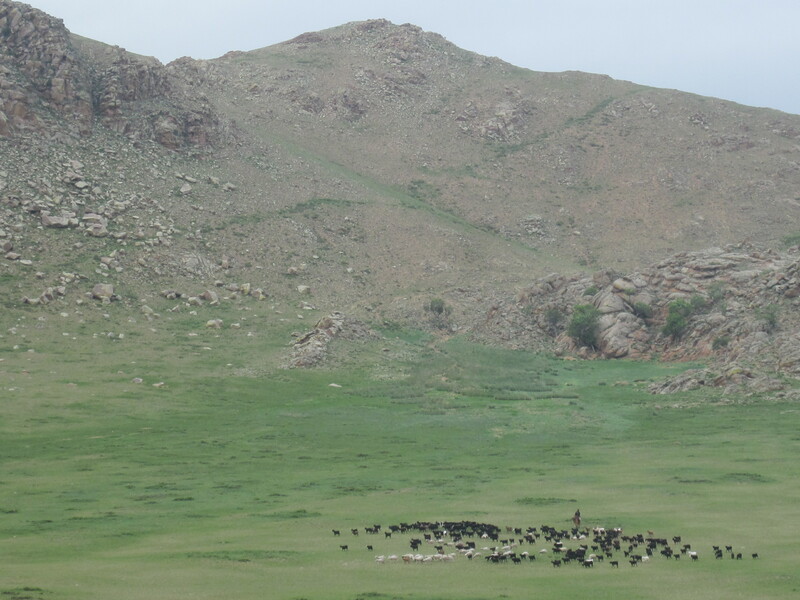 About 20 families of herders live scattered in gers across a broad valley looking after their flocks. I loved meeting the families and seeing this beautiful place. 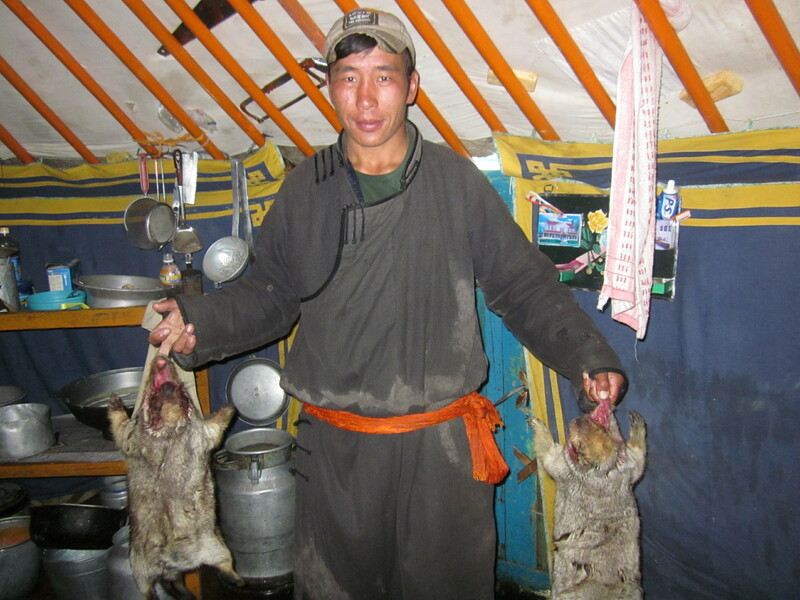 That evening I sampled my first marmot and my first yak vodka. Yum! I wish I had photos of the valley but unfortunately we had a lot of rain. It prevented us from riding horses but could not dampen our spirits. On the way back the next day, Esee told me he had a dream—he wanted to start a little summer kindergarten for the children in this valley. As we drove down a road through what I can only call an extremely rocky gully between two high hills, I mused on this and then said I too had an idea—I would like to help him. Esee, Moogie, and I shared some ideas and they suggested we call it “Judy’s Kindergarten.” I didn’t want my name on it, but as we talked, I came up with an alternative. 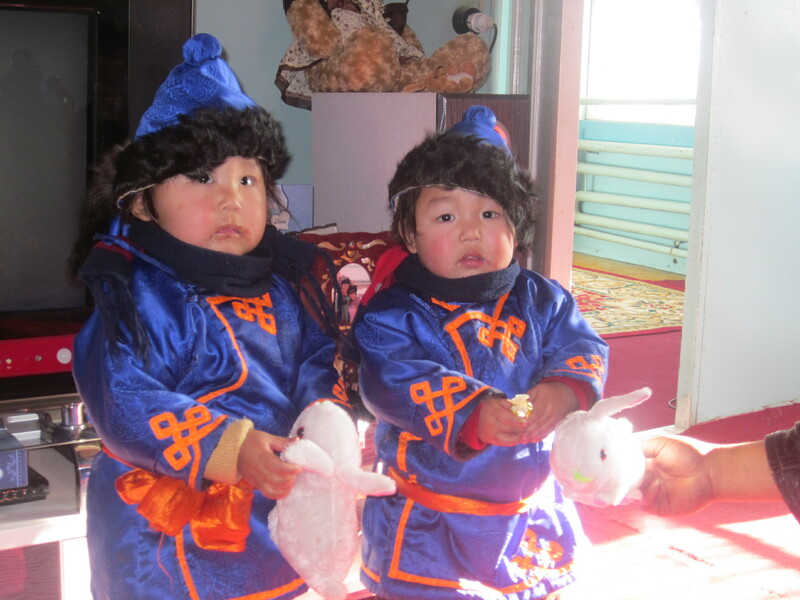 “Let’s call it ‘Gurvan Naiz Kindergarten” which means “Three Friends Kindergarten” in Mongolian. Perfect. When we returned to Muron, I told my friend at World Vision about it and she said World Vision perhaps could help if we got a proposal together. So now I’m back home in Marblehead working on the proposal and talking to all kinds of people about ideas that will help make it a success. We’ll need a couple of gers where the classes can be held, some modest furniture, a teacher, and some supplies. It will probably be just a few hours a day but I’m trying to think out of the box. I’m soliciting ideas from everyone I know (YOUR ideas are welcome!) An educator friend suggested finding ways to introduce the children to children of other cultures. Another suggested using puppets so the children could make up stories and put on little plays. I hope we can find creative ways to explore the incredible nature around them and learn more about how to take care of it. I hope we can foster creativity and learn about working together to solve little problems. I have started collecting colorful books about children in other cultures and soliciting knitted puppets from some of the knitters I mentioned above. I well know from experience that not every project turns out the way you expect but I’ll do my best and, hopefully, will have a good report next summer. 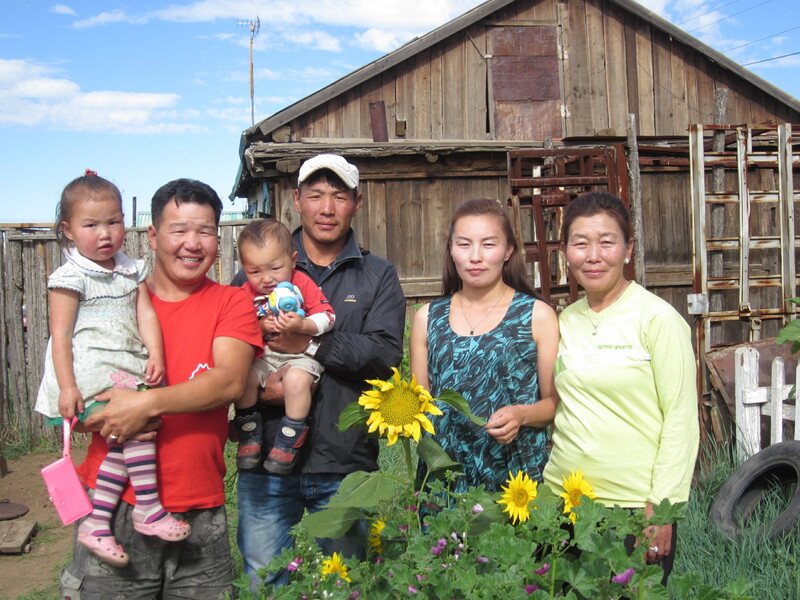 Meanwhile, I treasure the month spent in Mongolia with my Mongolian family. 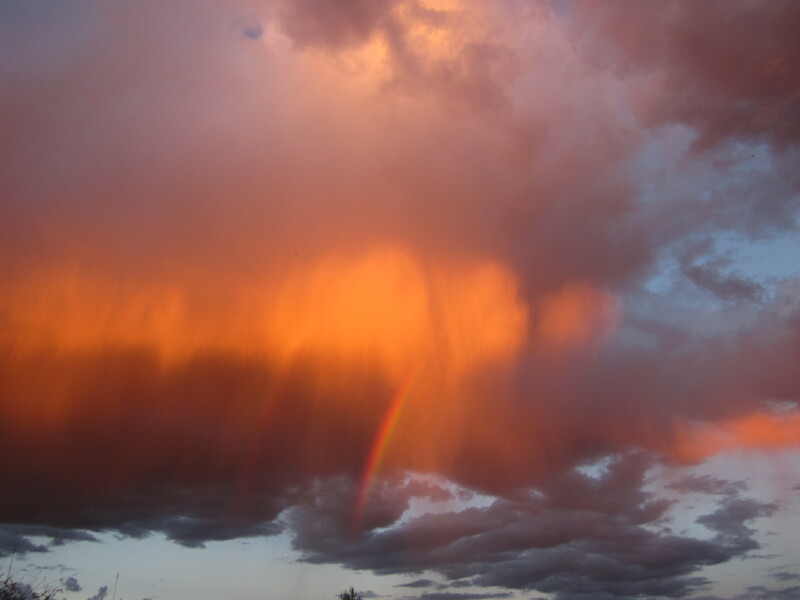 A sunset taken right before I left facing east (not west) with a rainbow slicing through the middle! The dictionary defines a marathon first as “a long-distance running race”. Like the Boston Marathon. The second definition is: “a long-lasting or difficult task”. After the tragic bombing on April 15, it’s that definition we are engaged in. Any real understanding of what happened and why will indeed take a long time and won’t be easy. But there’s another long-lasting task underway. This tragedy has also inspired people to respond with generosity, kindness, love, understanding, comfort, and patience to those in need. A 78-year-old Washington state man running his third Boston Marathon was near the finish line when he was knocked down by one of two bomb blasts and caught in a news photograph that quickly went viral. A race official helped him to his feet and the man walked across the finish line. Click here to see you YouTube video. After the two bombs went off within seconds of each other, cameras covering the event revealed many, many people running toward the site of the blasts, not just the police and other security people, but ordinary citizens, young and old. They set their own safety aside in order to come to the aid of those in need. Bless them. Shortly after the bombing, I heard about the Google spreadsheet set up to enable anyone to post offers of lodging, food, clothes, transportation, and whatever else was needed for those affected. It was impressive–hundreds of people offering help in a multitude of ways. Direct contact information was included to make it easy to get help quickly. And this was just the tip of the iceberg. At a time when the onslaught of news about tragedies happening around the world, both large and small, seems almost overwhelming, the generous public response to help those affected by the Boston bombings is indeed heartening. I am grateful to be a witness to it. This time, the simple question, “How are you?” stopped me cold. I’m not all right. I hope none of us are. Today I am the mother of every one of the children who lost their lives in Newtown. But, more than that, I am the mother of all people in every part of the world who lose their lives through violence. I am the mother who gave them birth, fed them, nurtured them, walked the floor at night with them when they cried, encouraged them, cheered them, laughed with them, and praised them. But, at the last, I couldn’t protect them. What can I do now? I can do more. I can more actively support those people and organizations seeking to reduce violence in our world. I can more actively support those working to bring about peace wherever discord is evident. I can live a life that expresses love not hate, collaboration not confrontation, patience not frustration. I’ve already taken some steps to do more. I hope each person who reads this will find his or her own way to do more. Many years ago, my husband Bob and I were taking a walk. It was the day before trash pickup and someone had set out a box of old Reader’s Digests. They looked really old, and I was curious, so I picked up a couple. They were from the 1940s and ‘50s. Hmmm, I thought, some interesting content—and I persuaded Bob to carry the box home with us. The box is still in my attic and I occasionally put a couple around the house for browsers. The other day I came across an article in one that included a paragraph that captured the holiday message I wish to share with all my friends. “I’ll always come back,” I told my Mongolian friends as I boarded the plane in Muron after three weeks visiting my friends this last July. “After all, I’m half Mongolian.” Well, at least half my heart is in Mongolia. I hadn’t planned to go back this summer. 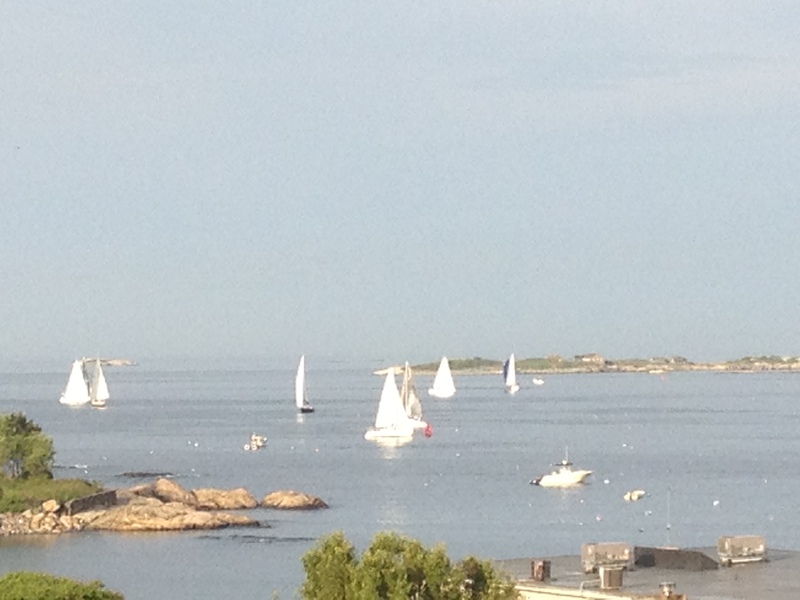 I came home at the end of January and looked forward to a summer in Marblehead, my lovely seacoast town in New England with views of the sailboats from my back porch. 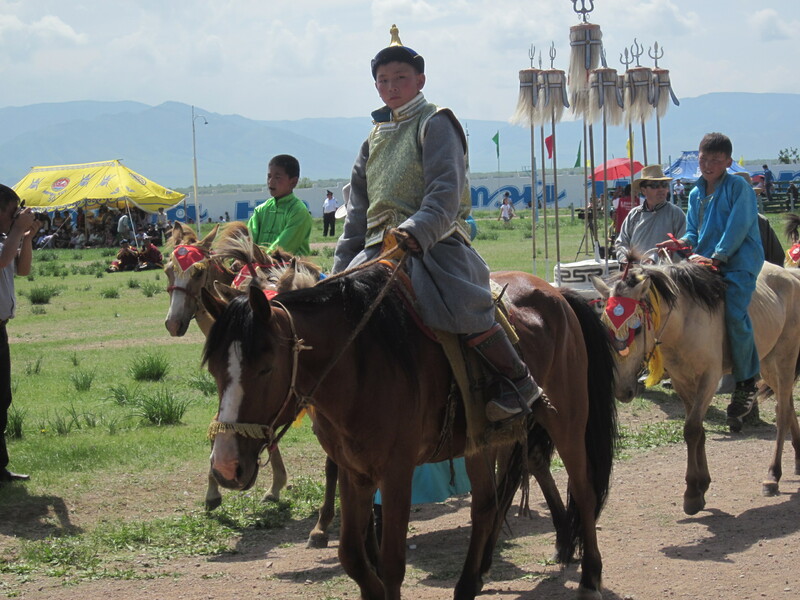 of the countryside, people singing and dancing to Mongolian music, big Mongolian wrestlers at the summer festival called Naadam, herders and their flocks of sheep, goats, yaks, cows, horses and camels moving across broad valleys, weddings and hair-cutting celebrations, and so much more. I had to go back. And I’m so glad I did. One of the highlights of this trip was being able to restart the little handicraft ger where local craftspeople could bring their wares. It was set up in an even better location this year and was staffed by two of my very favorite people. It will be open for two months during the tourist season and has attracted many visitors each day. It was also wonderful to re-establish connections with my many friends in Muron. 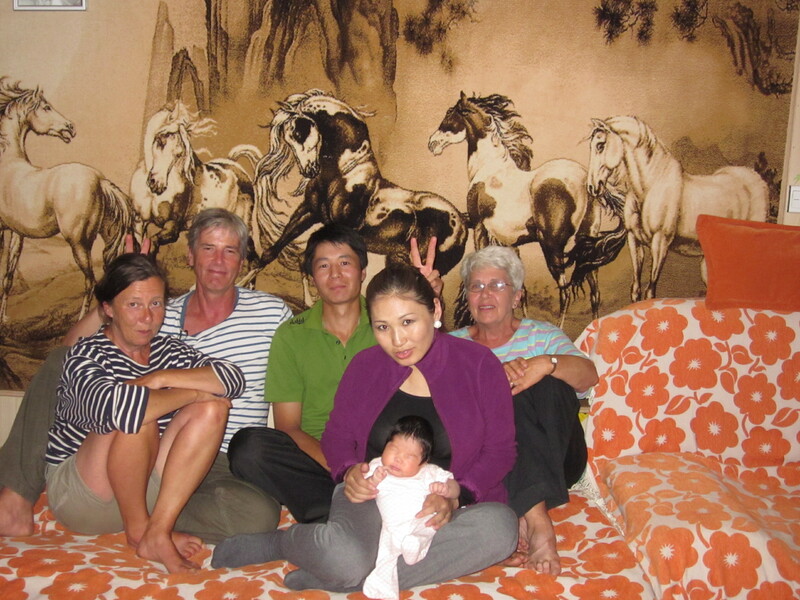 I stayed with Enkhtuuvshin, her husband, and brand-new daughter. They were married not long before I left. They generously offered a recently completed second floor of their home. The two rooms accommodated both me and my Swiss friend who had been in Muron when I was there before. Bold and Tsermaa who lived in the other half of the house where I lived for 3 years, Esse and Moogi who are my business partners and have opened a local handicraft shop at the zakh (main outdoor market), friends from World Vision including Tuul, Ganaa, and my favorite jolooch (driver) Bilgee. In addition to being able to attend Naadam, I was able to get out into the countryside for a few days at my favorite ger camp, high on a bluff above the Delgermuron river. It’s an idyllic setting I never ever get tired of, watching the herds of animals move back and forth over the wide river valley, hiking up into the hills behind the camp, reveling in the sunsets over the mountains, even curled up reading in our ger while the rain pitter-pattered on the roof and a cozy fire burned in the little stove. All too soon, it was time to pack up and head for home. During the time I was there, several projects came up that I hope to pursue here. 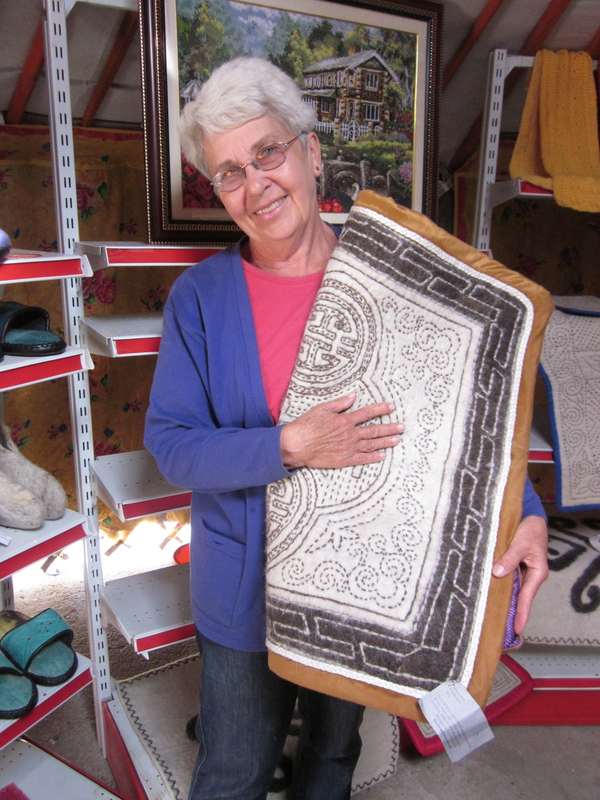 One, of course, is to continue to try and expand my little import business of Mongolian products. I met with the two men whose local businesses produce yak and goat cashmere knitted items. I’m going to try and get a Pen Pal program set up for a little town way out in the countryside and help a Mongolian English teacher find some sort of teacher exchange. 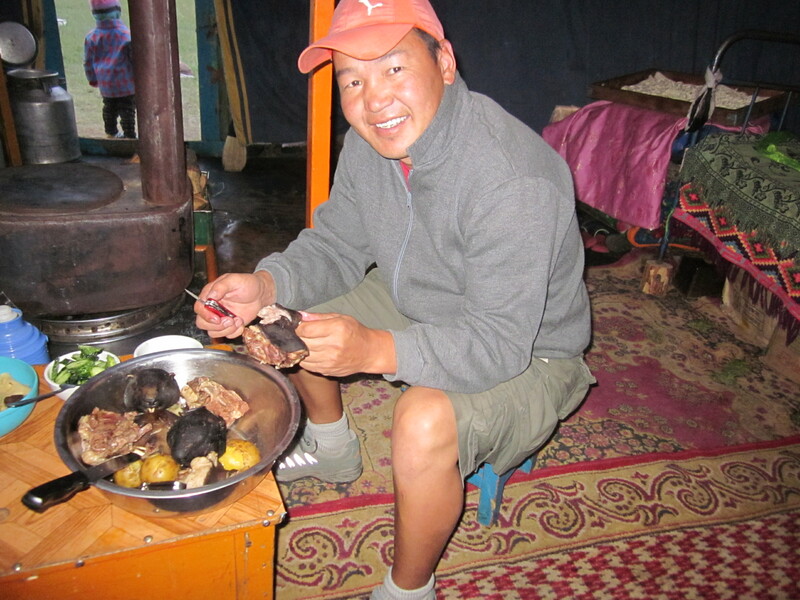 My friend, Esse, is a fine guide in Mongolia, speaks English well, and hopes to establish his own tourist business this next year. I’ll try to help in any way I can. Mongolia’s land of blue sky cherishing the friendships and traditions of this remarkable land. 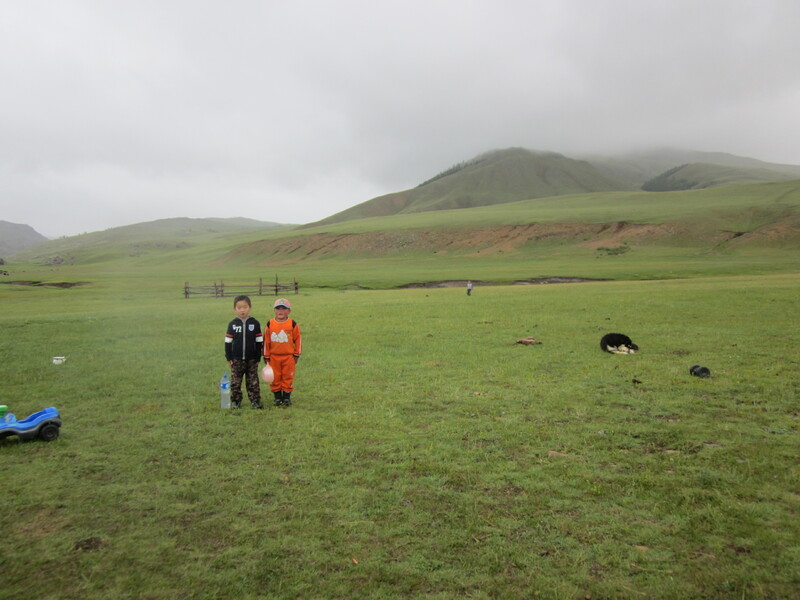 I miss Mongolia too much. 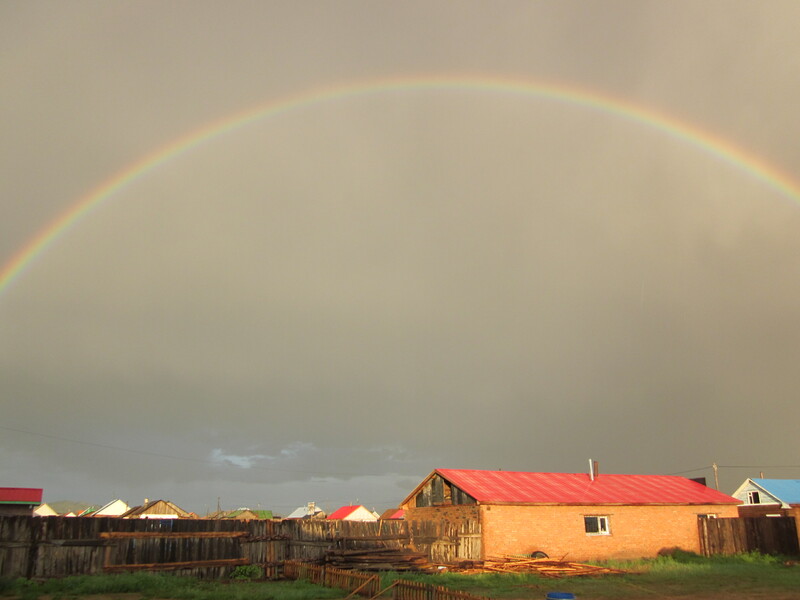 So Monday, July 2, I’m heading back to Murun, my hometown in Mongolia, for about 3 weeks. I’ll see my friends and the beautiful Mongolian countryside. And I’ll also work on my little business importing crafts from the local Mongolian artisans to America. I’ll be missing a few weeks of summer in Marblehead but I’ll be back in time to get in some more sailing and trips to the Farmers Market. I had two very interesting interactions with nature this past week. Last weekend, we had a little family reunion at my home. After most people had left, my daughter and I went out to do an errand. When we returned and pulled the car into the drive, she spotted something in the flowers growing atop a wall next to the car. She was eye level with the flowers and, at first, she thought it was just a bee buzzing around the flowers. But it didn’t really look like a bee. It looked like a very, very tiny humming bird—less than an inch long. I jumped out of the car to take a look and we both watched it darting here and there, sucking the nectar and its little wings a blur of movement. How could it be? Did hummingbirds come that small? Less than an inch in size, it looked just like a tiny hummingbird except for the feelers–which you could hardly see. 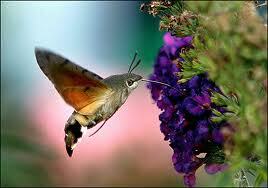 After it flitted away, we googled a few descriptive words and discovered it was a hummingbird moth. 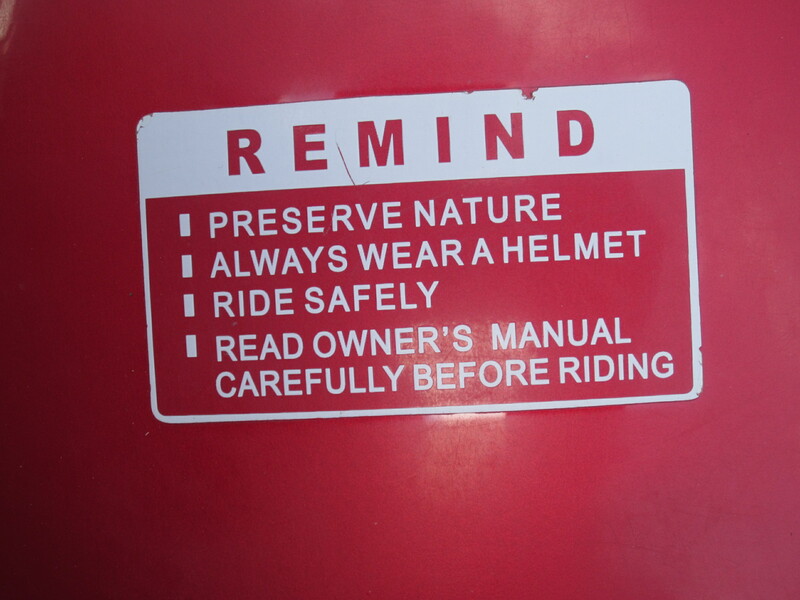 We’d never heard of one before (see photo). After Tracy left the next day, I picked up a book she had been reading from my library, My Family and Other Animals, by Gerald Durrell. It’s one of my favorite books, incredibly funny about the Durrell’s family life on the island of Corfu. There, on one of the first pages in the book, Durrell describes some of the creatures he spots on the island, including the hummingbird moth! What a coincidence! The other interaction is even more incredible. 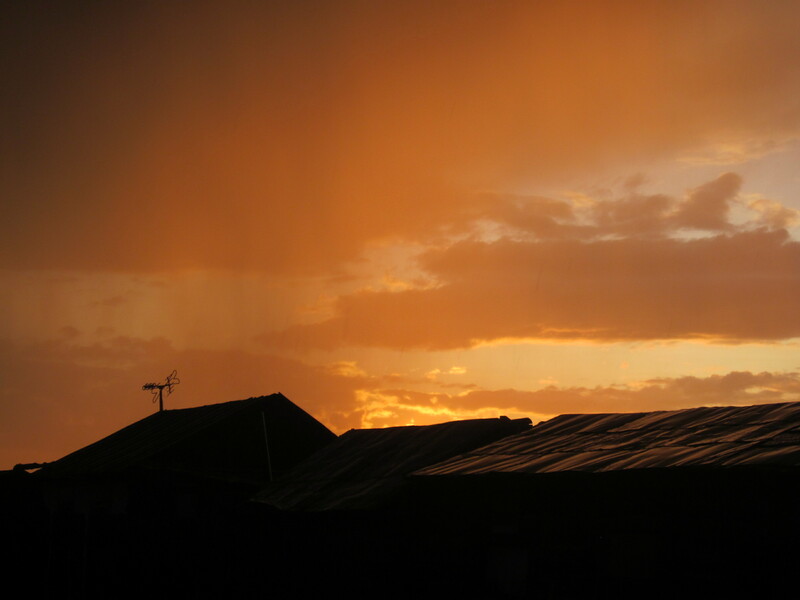 We had a 3-day heat wave—100 degrees on my back porch, and late Saturday some big thunderstorms rolled through. It did cool things off and so, Sunday morning, I thought I’d take an early bike ride in the cool fresh air. About seven, I went down the back steps to the yard to get my bike stored under the back porch. The grass was still very wet. Just before I reached the bike, I saw something small and dark lying in the grass in front of me. 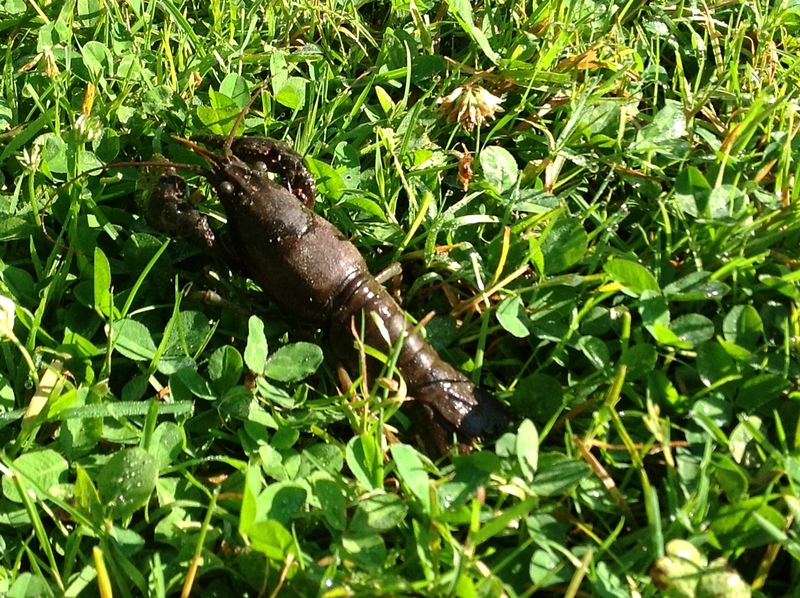 Then I looked closer and saw it was alive and it looked like a little lobster, about 6 inches long. I bent down to see better and sure enough, that’s exactly what it was. When I reached for it, it began to crawl away. I picked it up and it waved its little claws trying to wiggle out of my grasp. I put it down and ran to get my camera. It was too small to get very far on its own. Then I got a pail of water, dumped in a little salt, and plopped the lobster into it. No one was around to show it to, so I proceeded on my bike ride. When I returned, my neighbor, David Breashears, was home and I invited him over to see it. He was as befuddled as I was. So far, the only explanation we can come up with is that perhaps a seagull had picked it up and during the thunderstorm had been blown landward by the winds and dropped the lobster in my yard. No doubt it was a bit befuddled away from the water. If you have other theories, you’re welcome to share them. I’ll probably only keep her a day or two to show the neighbors and then put her back into a nice deep pool among the rocks on the edge of a little island nearby reached by a natural causeway—and one of the best habitats for lobster breeding on the East Coast. What tales she will have to tell of her adventures! 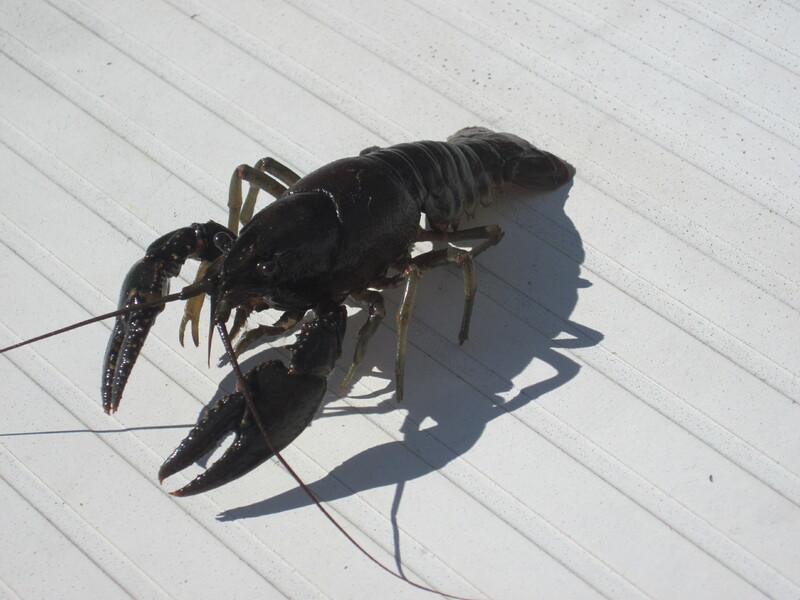 THIS JUST IN: My neighbors up by Redds Pond (a freshwater pond about a block up the hill from my house) just came down to see my lobster and they claim it is a crayfish, apparently lots of them this year at the pond. Seagulls and cormorants also hang out around the pond. I’ve checked it out on the web and it is possible. The two species are exactly alike except one likes fresh water and the other salt water plus one is bigger than the other—in my case however it could be a small lobster. Either way, what’s it doing in my backyard? Final sad note: I left it in the saltwater overnight and it didn’t survive—so must have been a crayfish. Did you see the total eclipse… and other questions? I had noticed mention of a total lunar eclipse on the web and it looked as if I might be able to see it but I couldn’t find any specifics about Mongolia. Last Saturday evening, the PCVs and I had dinner together and I mentioned we ought to look it up after dinner but we didn’t and later I headed for home with just a bright full moon overhead. After I got home, I looked again on the web, but still couldn’t figure it out. Then I sent a message to a Mongolian friend asking if he knew anything. He replied he could find nothing in Mongolian about it on the web. 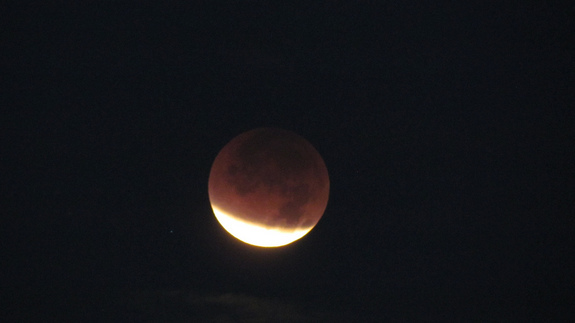 At that point, I went outside and LO AND BEHOLD the moon was in total eclipse! I could see the dark red color and a penumbral glow. I ran to tell Bold and Tsermaa (whose home I live in) to come outside and see it and then proceeded to call everyone I knew here who spoke some English to go outside and look. Yep, it’s the Eiffel Tower right here in Muron outside my window. 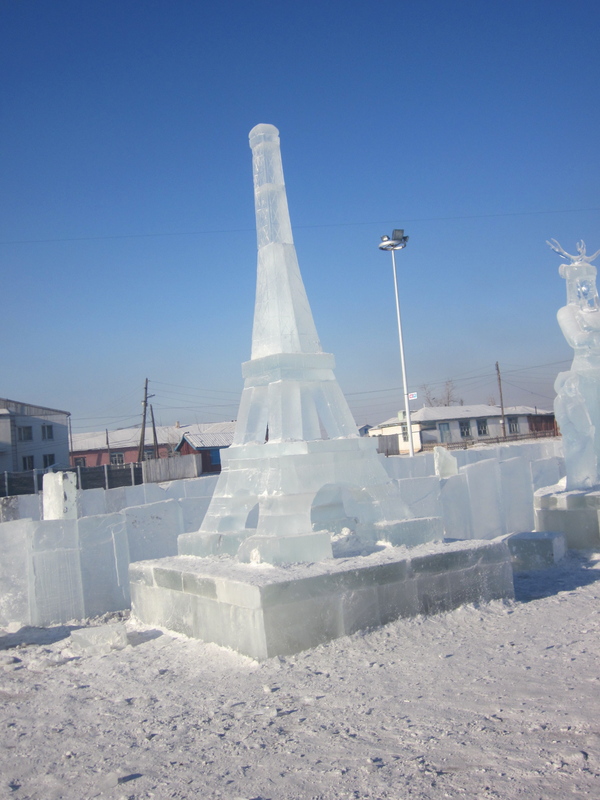 For the last week, men have been outside all day on the main square working on ice sculpture to celebrate Shin Jiil (New Year’s) and any other holiday you want to celebrate at this time of year. I marvel that they can stay outside in the cold all day working with these big ice blocks. Boston’s First Night (New Year’s Eve) has a big ice sculpture exhibition but there’s never a guarantee the sculptures will survive very long—or even be able to be created. Here in Muron, that’s never a problem and if they wait for them to melt, it will be well into the spring before they disappear. 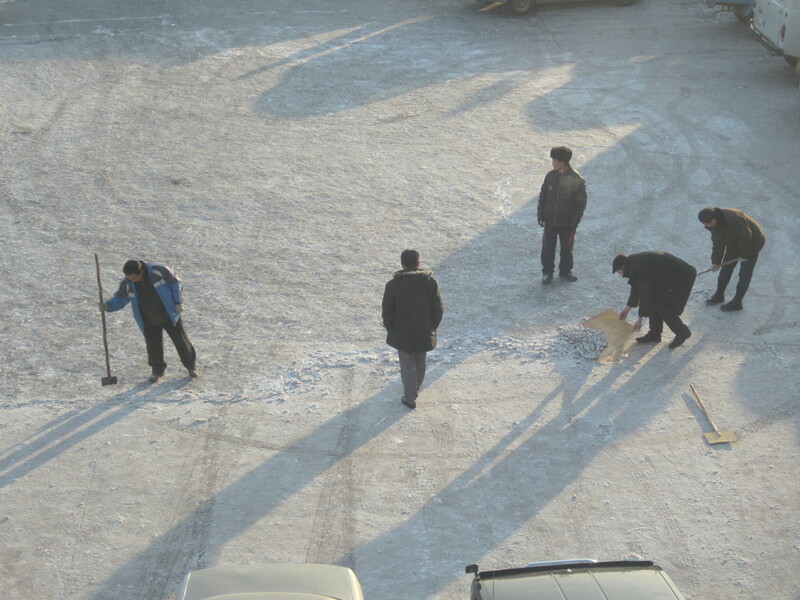 Everyone's chopping up and clearing the ice outside my office building! Although we haven’t had a lot of snow here, we do have a lot of ice. And last Thursday, was the day everyone was supposed to go outside and remove ice from in front of their businesses or from the road, or from the parking lots in front of their buildings (like ours). All day long I heard the pounding and scraping of people trying to get rid of the ice. I was just feeling grateful that our office hadn’t been called upon to help, when my boss said that on Friday, it would be our turn to help clear the big square out in front of the government offices. I dressed as warmly as I could only to find out the next day that we were off the hook! Warm feet are important in this climate. I had hoped the boots I brought with me would keep me warm enough until I got home—but a few weeks ago they weren’t doing their job. So I went with a friend to a bootmaker and ordered a new pair. I wanted some just like my friend’s, knee high as everyone wears, simple, tailored and a little short black fur on part of the boot. 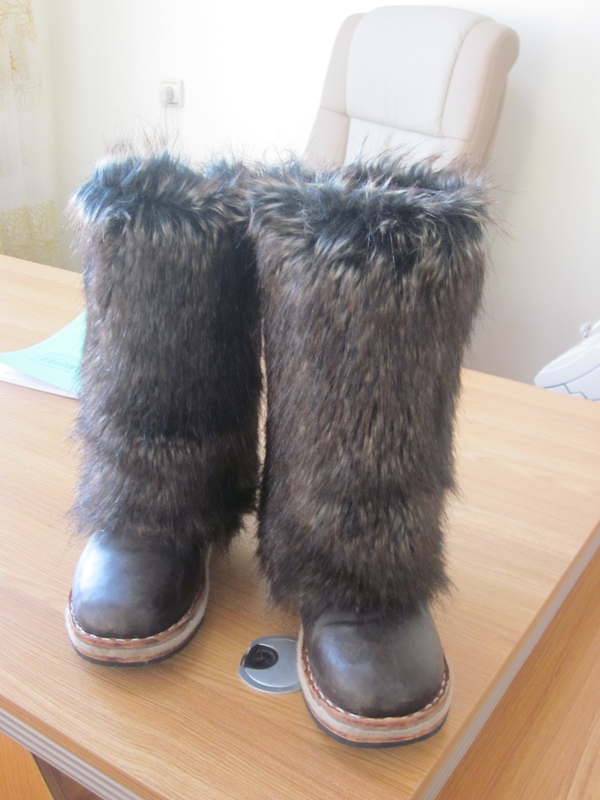 The bootmaker gave me my choice of two furs (both artificial I thought) and I recklessly chose the funky one. When I picked them up and put them on, it looks as if I have two furry animals on my feet! Even my hosha dog did a doubletake. But no one else seems to think there’s anything strange about them and with 2 pairs of socks and warm felt innersoles they keep my feet warm. That’s what’s important, isn’t it? Are there better ways of doing things? And then take a look at the video from the TED/Philly video you’ll find on the site under News & Media. If I can start a little export/import business, I’d like it to be a B Corporation. Sounds mundane, doesn’t it? 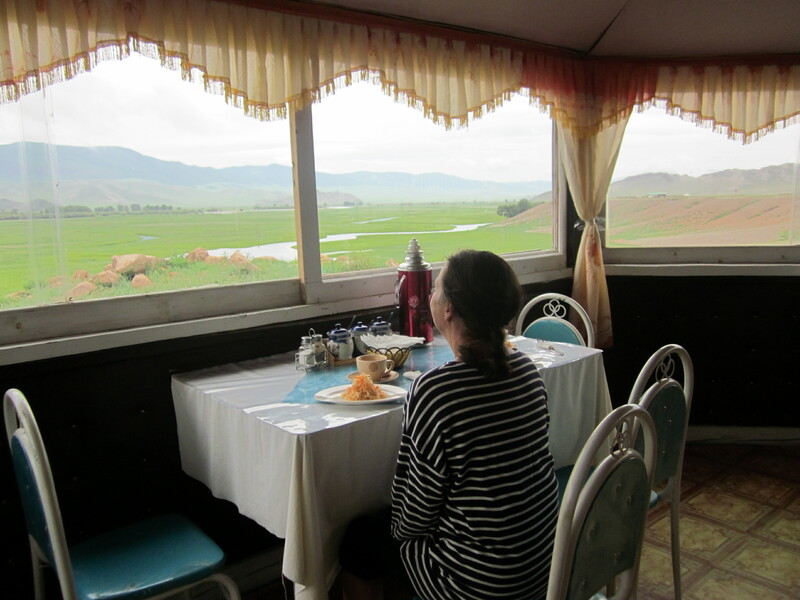 But nothing is ever mundane in Mongolia—at least to me. See if this sounds anything like your morning routine: It is December 1 and the temperature is running at a high of 10 degrees above zero during the day and a low of 10 degrees below zero at night (Fahrenheit). In other words, it’s always below freezing. And people say since we had a little more rain this summer, it will be a colder winter. Now, I don’t remember that it got warm in mid-February before—but it all depends on your perspective. At the moment, it is dark and cold when I get up in the morning. So I pull on an old down warm coat a friend sent me and hurry to start a fire in my little stove. Once it’s burning well, I make oatmeal and some coffee in a little Moka pot another friend gave me. Most people here drink milk tea, a staple beverage made year round in a large pot with milk, water, a little salt, and a little tea sprinkled in and stored in one or two big thermoses to be ready anytime during the day and when friends stop by. After things have warmed up a bit, I get dressed, having put my clothes near the fire to take the chill off them. Clothes include two pairs of sock, extra warm boots, long underwear (maybe 2 pairs) and warm pants, 5 layers of shirts and vests and sweaters, a hat, gloves and mittens, and a coat with a hood. Before I leave, I make a trip to the outhouse to dump my little bucket (much too cold to go out at night). The family dog—who is always kept outside and has a doghouse at least—is chained to the doghouse and eagerly awaits my morning trip since I give him a little snack. In this weather his black coat is getting thicker and his fur is frost-covered. Then off to work. The sun is just coming up and the chimneys from the little stoves in the gers and wooden houses are all sending up columns of grey smoke. A contrail high in the sky is unfolding a white ribbon leading towards Beijng. 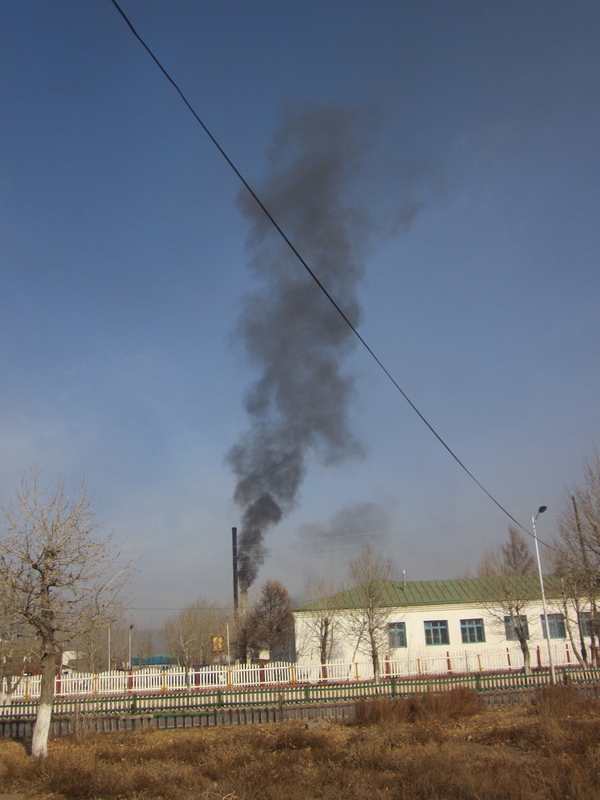 As I turn towards the center of town, I see the black smoke rising from several coal-fired power plants heating the hospital, schools, public buildings and some apartment buildings and then settling down creating a dark haze over the whole town. I pass the “Haloon Uc” (means hot water and is the name for the shower house) and a man out back is shoveling coal to heat the water. People are gathering at the well next to it (a little white building with a window and a hose sticking out) where they come to fill up their jugs of various sizes. 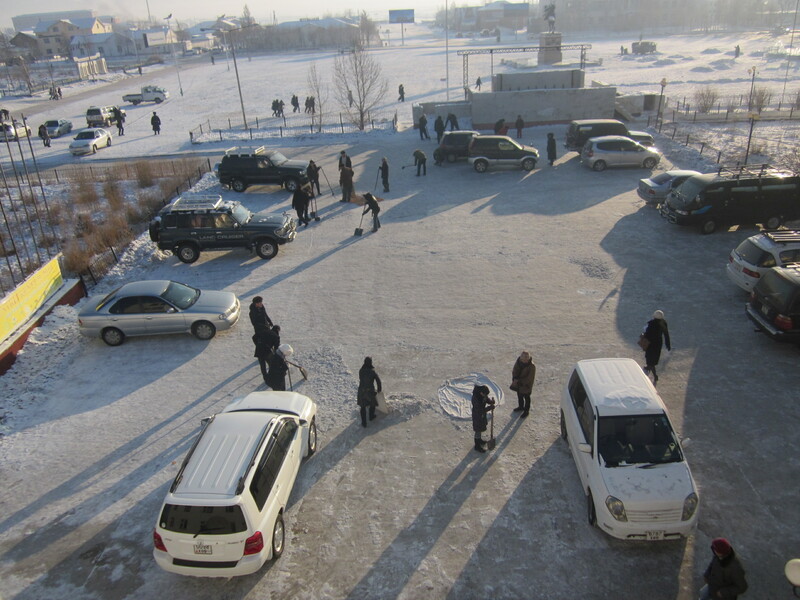 And others are hurrying along the street to work or to school or wherever. At the center of town, a woman is setting up a little stand. She will sit on a cardboard box all day in the cold to sell little glasses of pine nuts. And it’s the same at the zakh or market. People all bundled up selling their goods from their stalls. I’m told the sellers just add another felt innersole to their boots as the temperature goes down. My office has moved to a new location in the government building that now looks out over a parking lot and then the main public square and after a couple of blocks out to the countryside. In the early morning and in the evening all I see is the smoky haze. During mid-day a broad plain appears in the distance with the river running through it, some herds of animals and perhaps a couple of herders, two or three isolated gers, and the mountains beyond. In the parking lot, several men are chopping away at the ice trying to make it safer to walk and drive. It’s a slow process. Here in the office, we are getting ready for a major event: the 10th anniversary of the Huvsgul Chamber of Commerce. It will be a big deal—parties, ceremonies, who knows what all. Even the head of the National Chamber of Commerce will be here. I bought a new traditional Mongolian vest this week to go with a long skirt I brought since my Mongolia deel (traditional robe-like outfit) is at home. For now, I’m just trying to stay warm and be helpful and continue to work on my efforts to establish a little export business for my local craftspeople. 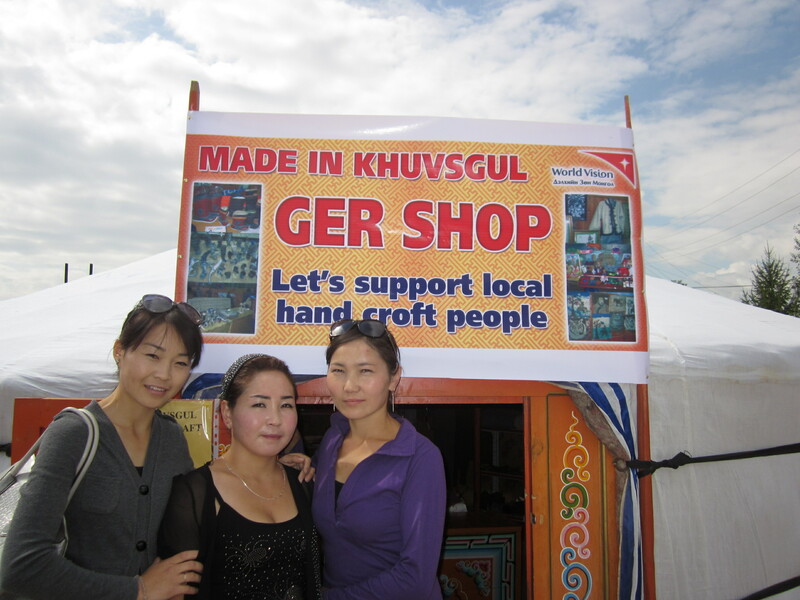 My Mongolian partners send a box of handicrafts to the U.S.
daughter-in-law a few weeks ago and they have arrived in U.S. Some will be sent to friends in Marblehead and California to see if we can find some outlets for them in local shops. If anyone is interested in finding out more about this project, let me know. Handicrafts include felt slippers, yak cashmere and goat cashmere sweaters, hats, scarves, mittens, gloves, sox, sheepskin mittens and carved wooden animals. Took a trip to UB to get a flu shot required by Peace Corps and had an opportunity to enjoy some hot showers and have some meetings with people about exporting and other things. 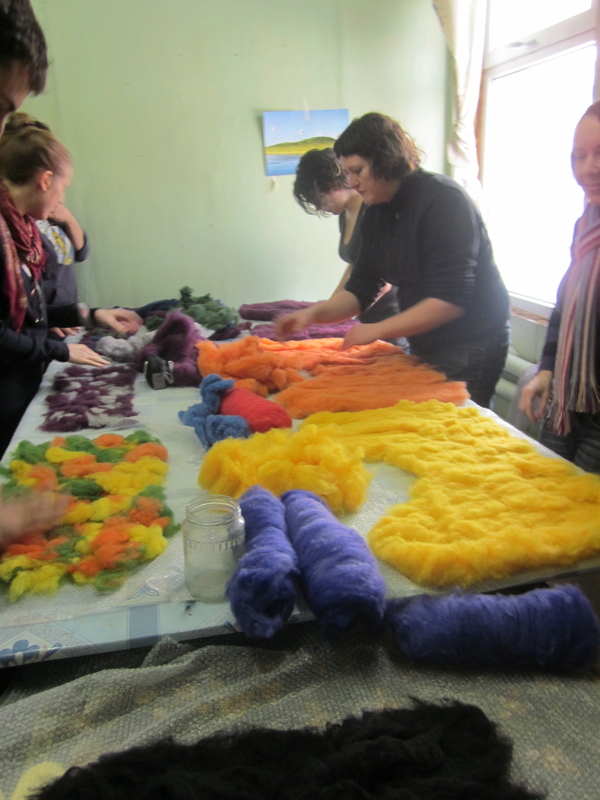 Met an Australian volunteering at National Chamber of Commerce who invited me to a felt-making workshop. Made a purse—felt-making is hard work, lots of spreading washed, carded sheep wool, wetting, and pressing and rolling and pressing over and over. But the results were good. Thanksgiving was spent at a local American missionary’s home. They have lived here some 19 years and helped the local people learn to raise vegetables. Even had a turkey a friend sent to them from UB. I made my traditional dinner rolls, the stuffing and the gravy. 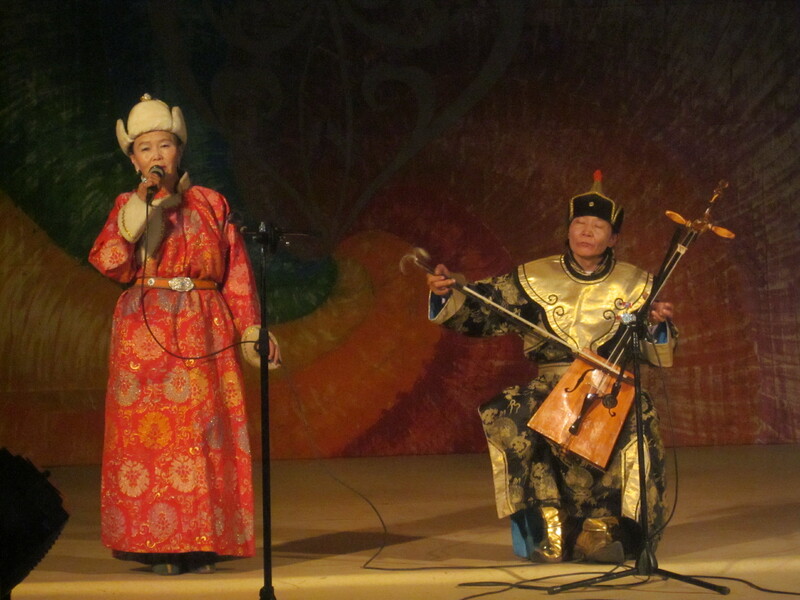 A Mongolian friend of mine plays the horsehead fiddle—a traditional Mongolian instrument—he gave a concert recently at our theater. He played in duets and with several singers including an 8-year-old who could really belt it out. To hear what it’s like, I suggest you go to YouTube and type in “horsehead fiddle” and you find a lot of videos to listen to. A little revision in my return home—will be heading home on January 13, probably visiting with my Brooklyn family before returning to Marblehead.